Home > Products > Ten Strawberry Street Round Silver Lacquer Charger Plate 13"
Impress customers by presenting salads, appetizers, and entrees on the Ten Strawberry Round Silver Lacquer Charger Plate 13". 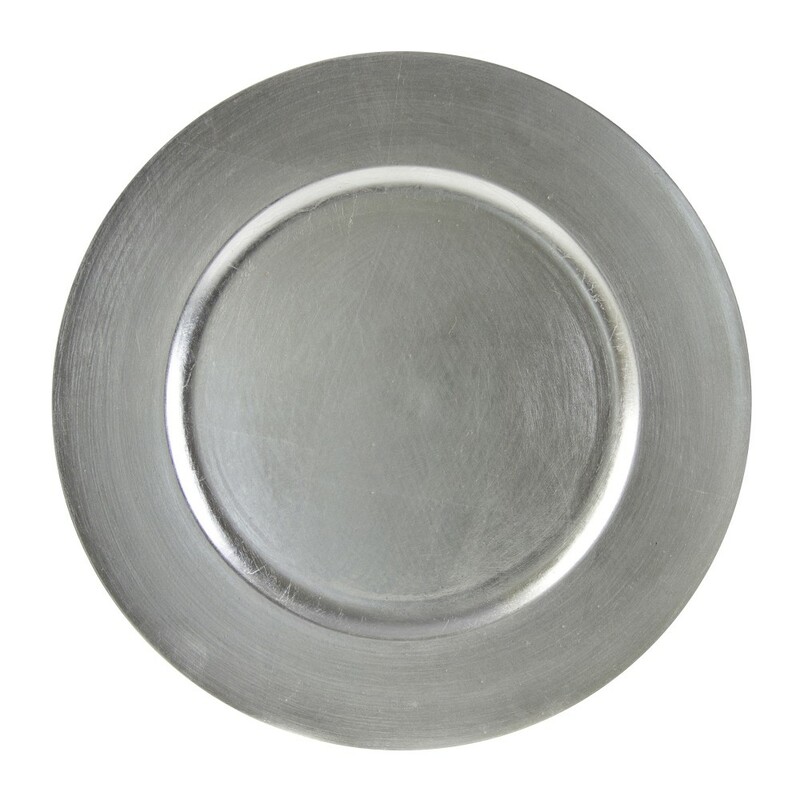 This brilliant silver charger plate accommodates any dinner plate, platter, or bowl, perfect for multi-course meals. Boasting a classic and timeless charm, this charger plate is perfect for dinner parties, casual events, and formal gatherings. Thanks to its high quality lacquered acrylic construction, this charger plate is lightweight, easy to transport, and adds a luxurious touch to any setting without breaking the bank. Combining style, durability, and functionality, this charger plate prevents spills and mess that might otherwise stain your tablecloth. To keep this charger plate in excellent condition for years, hand washing is highly recommended.